Edward Carlisle Boynton, born in 1824 in Windsor, Vermont, graduated from the West Point Military Academy in 1846. He served 12 years in the United States Army before joining the University of Mississippi faculty in 1856. Boynton was Professor of Chemistry, Minerology, and Geology until the outbreak of the Civil War. In 1861, he left the University, leaving his negatives behind, and never returned to collect them. 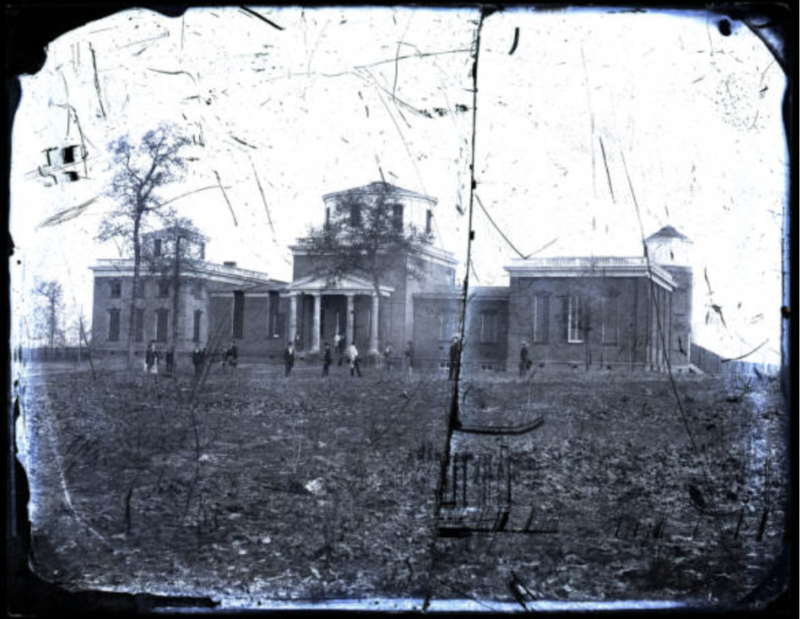 The Edward C. Boynton Collection in the University of Mississippi Department of Archives and Special Collections contains unclaimed glass plate negatives of antebellum scenes of the University of Mississippi campus, as well as family photographs and self-portraits. Observatory building exterior, students in front, collodion glass plate negative by Edward C. Boynton, c. 1856–61, The Department of Archives and Special Collections, J.D. Williams Library, The University of Mississippi.